Abridged from the original autobiography by John G. Paton. The story of the Scottish missionary pioneer John Gibson Paton (1824-1907). Born in Dumfrieshire, trained at Medical school and spent 10 years as city missionary in Glasgow and had felt compelled by God to be a missionary in the South sea Islands. 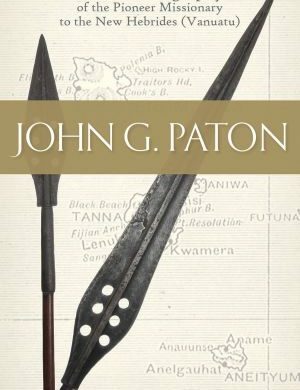 This is the account of John G. Paton’s pioneering mission work among cannibals in the New Hebrides (now Vanuatu). 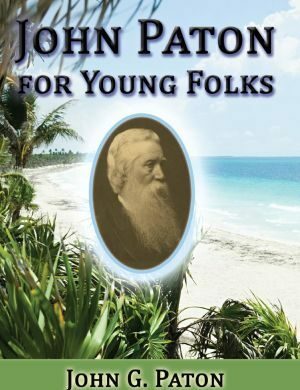 Living among constant dangers and death threats, battling against illness and enduring great personal loss and sacrifice, John G. Paton laboured on and showed great love for the island peoples. He had the joy eventually seeing people come to Christ and living a totally transformed lifestyle. A thoughtful abridgement of the original autobiography by John G. Paton, carefully edited by his brother James Paton. 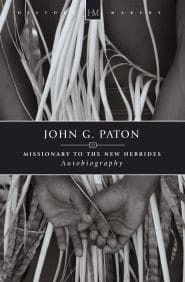 This is the incredible story of the Scottish missionary pioneer John Gibson Paton (1824-1907). Born in Dumfrieshire, trained at Medical school and spent 10 years as city missionary in Glasgow and had felt compelled by God to be a missionary in the South sea Islands. Rev James Paton was John G. Paton’s brother. The material that John G. Paton had collected over the years were compiled and edited by him. Rev James Paton was an author and Presbyterian minister in Scotland.